I love living in Brighton. It’s one of the UK’s most famous tourist destinations. It’s been a “resort” for 300 years now and there’s never a dull moment. Festivals all year and tens of thousands of visitors flock to the beach every time the sun comes out. 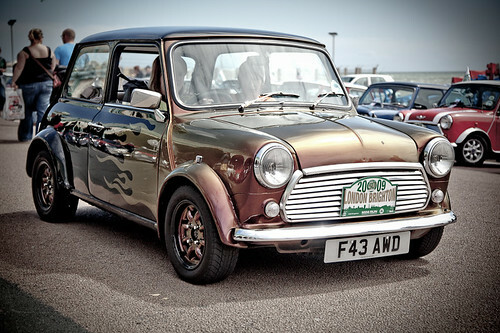 This weekend saw the annual “London to Brighton Mini Run” take place. Starting in Crystal Palace, London. Ending at Madeira Drive, Brighton. 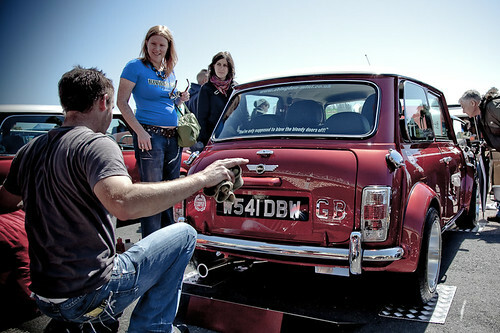 Right on the sea front thousands of Minis arrived in convoy, parked up for the many MANY visitors to see. Minis are such beautiful little cars. They have such character and so many are so well preserved. 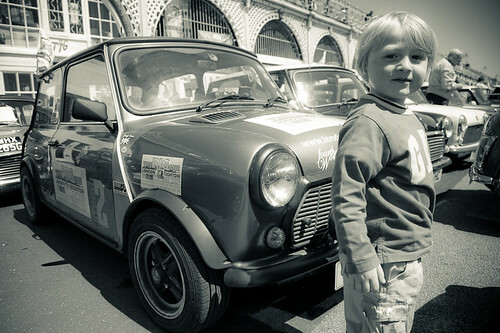 The Mini is as much a symbol of British culture as Big Ben and The Queen (the band and the monarch). I adore them. There’s no other car quite like them. I’m currently torn between very minimal post-processing to correct exposure and full on post-processing “painting” as I like to call it. The above photo is a great example. Left alone this image is nice but uninspiring. With a bit of post-processing skill you can create something much more dramtic, vibrant and exciting. 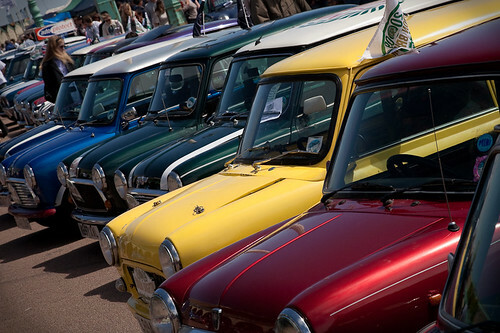 It’s great to see so many gorgeous little minis in pristine condition. This car was by far my favourite. I stopped by 3 times to have a look. 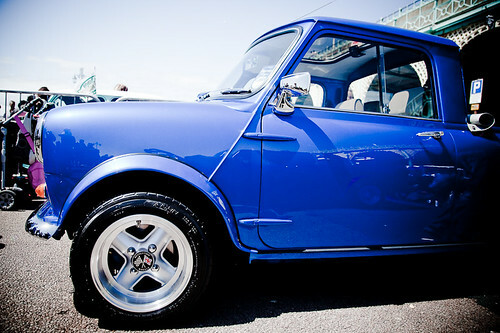 The guy clearly loves his little Mini and keeps it as shiny as possible! Exhibitions, be they in doors or out are often hard to shoot without getting masses of clutter in the background and often unwanted items in the foreground! It often takes time to find the right crop of an image, the right effect that will draw you away from the clutter. You’ll often take hundreds of shots and only end up with a handful of real winners. As ever your thoughts, comments and critique are welcome. Feel free to follow me on twitter. The second photo, sepia/black and white – almost timeless. Very hard to tell if it was taken today or 40-50 years ago. The other photos makes a great presentation of an interesting and colorful day. I love the Mini Kid photo. My favorite is the Mini On Fire. Without the two people in the background, it could have been taken any time in the past 50 or so years. And why not post-process? As to these cars, post-processing reveals how people *feel* about them. Only now you can see how enthusiastic they are about the car,something you probably couldn’t see initially. The blue one jumps out at me. Is it like a mini truck?